Posted February 17th, 2015 by & filed under Meeting. Rain gardens can be confusing and maybe even a bit scary to think about. Are they wet? How about mosquitos? What plants will work? Where do I put them and how? This presentation on 4/16/2015 will take the mystery out the idea and help you see the beauty of a working landscape right in your backyard! Get plant ideas that will be available at our May plant sale! Our presenter, Trish Beckjord, RLA,?is a registered landscape architect and graduate of the University of Michigan where some of her favorite courses involved field study of native plants and ecosystems. She is an experienced designer whose focus has been the successful integration of native plants and ecological restoration strategies into designed landscapes for significant LEED gold and platinum projects including companies such as Advocate Healthcare, Johnson Controls and McDonalds. In addition, she has brought these same ideas to the residential scale through her personal practice. Trish is a founding member of our Wild Ones chapter and, before she returned to Chicago, past-president of the Ann Arbor chapter. 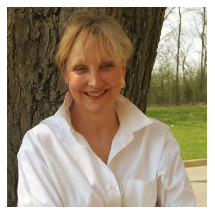 Currently Trish is responsible for sales and market development of native plants and green infrastructure for Midwest Groundcovers, LLC. You?ll find she is an enthusiastic educator on all topics related to the beauties and benefits of native plants. This meeting is at Hawthorn Hill Nature Center, Elgin. ?Event details.